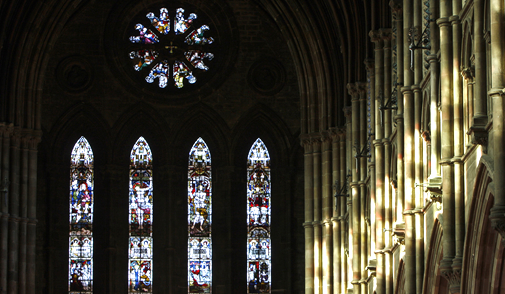 Some of Edinburgh's most beautiful buildings may have passed you by. We might all visit our bank manager a little more often if they all had such palatial surroundings. Whilst the grand façade set back from St Andrew’s Square hints at what lies within, the interior space is still a wonderful surprise. 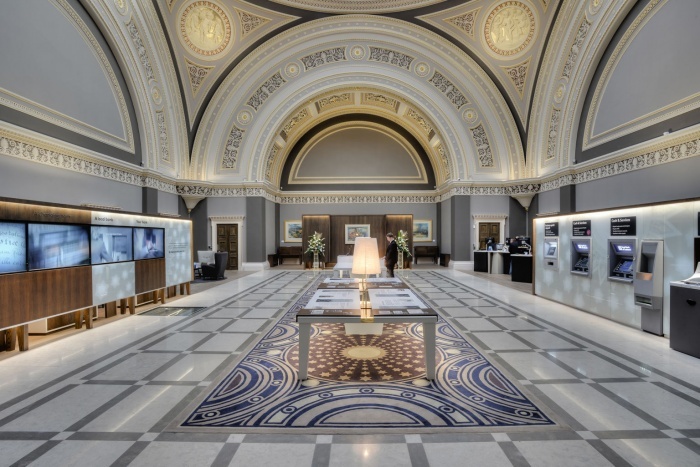 The interior was recently superbly restored and updated by contractors Graven, Michael Laird Architects and the bank’s retail team. The result is something that customers, locals and visitors to the city can all enjoy. There’s even a glass floor revealing newly uncovered floor tiles from 1860. It’s an architectural masterpiece, and undoubtedly one of Edinburgh’s most beautiful buildings. You could be forgiven for walking straight past The Signet Library, it’s elegant Georgian façade seeming to act as a backdrop for the magnificent St Giles’ Cathedral. Take a peek inside however, and you’ll be astounded by two truly stunning spaces, the Upper and Lower Libraries. 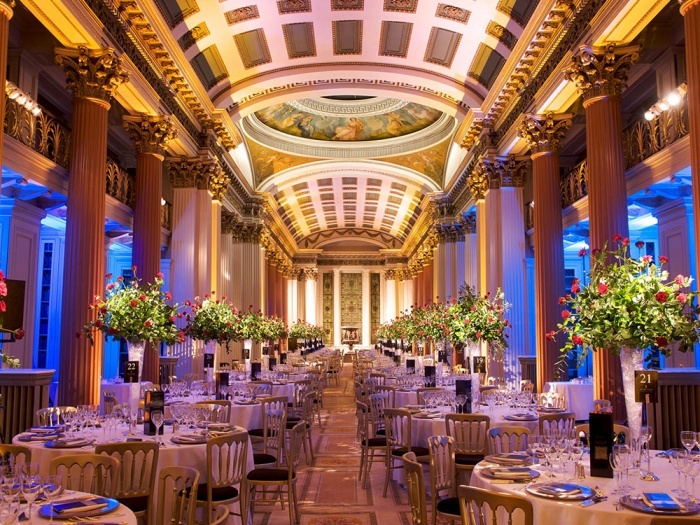 The Upper Library, pictured, is available to hire for the venue’s high end private events and Royal Military Tattoo dining packages, and the Lower Library, recently refurbished, has become one of Edinburgh’s most renowned afternoon tea salons. This hidden gem is surely one of Edinburgh’s most beautiful buildings. 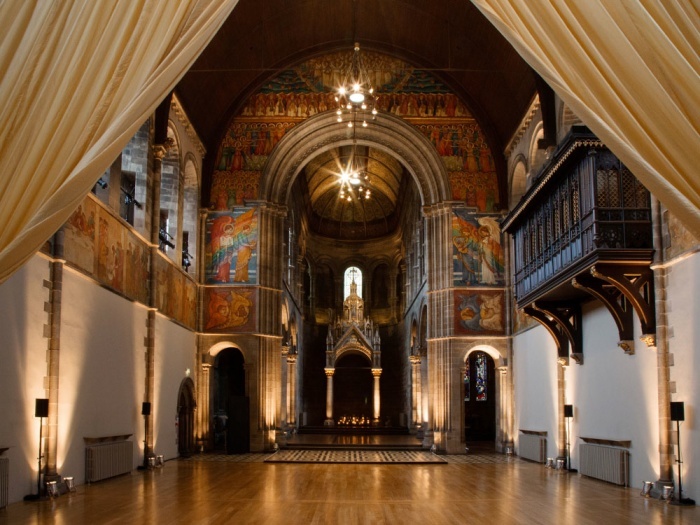 Already spectacular, when Mansfield Traquair is set for one of the events or weddings that it now plays host to, it is truly awe-inspiring, and a definite must for this list. Here’s a genuine Edinburgh curio. 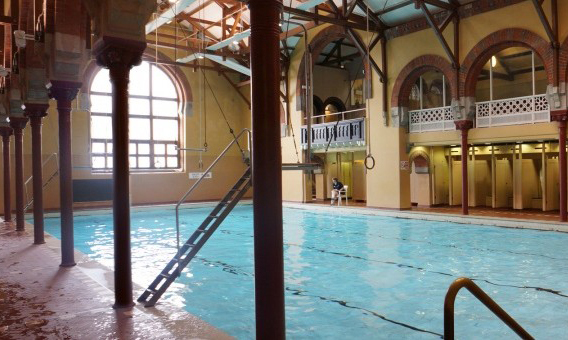 In the heart of Edinburgh lies this beautiful, fully functioning late-Victorian swimming baths, built in a Moorish style that was fashionable for such buildings at the time. The main pool remains almost exactly as it was in the Victorian era, with trapezes and rings hanging over the pool that are still in use today. The baths is run as a private members club, with members enjoying the use of pool, gymnasium, and other facilities, protecting this beautiful building for future generations. Ok, we’ll admit our fifth choice isn’t exactly hidden away, with its monumental steeples piercing the Edinburgh skyline. But perhaps you’ve never ventured inside St Mary’s, tucked away as it is in the heart of Edinburgh’s West End. If not, you’re missing out on a richly rewarding experience. The soaring vaulted interior, complete with beautiful stained glass, is truly inspiring, and it’s abundantly clear from the atmosphere of thoughtfulness and spirituality that this is a place of worship. A truly iconic Edinburgh building.